Ms Nabila Arif graduated from the Institute of Business Administration, University of Karachi, in 1989. She has a PGCe from University of Nottingham in 2014. 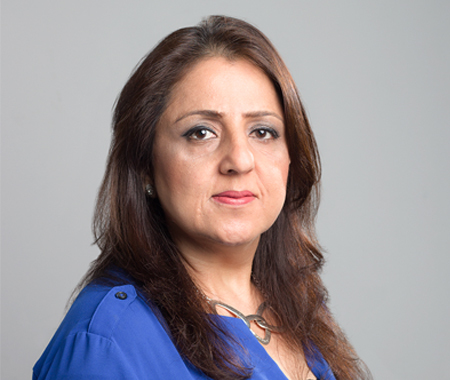 She has a rich teaching experience of 25 years in Pakistan, UAE and Canada. She began her academic career with IBA Karachi and worked there for ten years as an Assistant Professor of Accounting and Finance. In 1999 because of family commitments she moved to Dubai. Here she was appointed as Head of the Department of Business at Dubai Gems Private School. She later moved to Canada in 2003 where she was employed with the two renowned community colleges. She worked for Seneca College from 2004-2005 and then Humber college from 2005-2008. In 2009 she moved back to the UAE where she has since been associated with SZABIST Dubai as the Program Manager for its Management Sciences ( BBA) Program.